Do you feel frustrated that you’re not clearly expressing yourself in your business? Does it feel like you’re only allowing part of you into your message? Are you ready to embrace ALL of you and allow that authentic voice to be heard by your clients? The Energetic Blueprint takes you deeper. The 90 minute Personal Energetic Blueprint session reveals how your energy body is functioning and how that’s impacting your business and personal life. You’ll discover the link between blocks in your energy body and the areas of your life that are challenging or stagnant. You’ll discover the hidden story. So you’re intrigued and excited about receiving your Energetic Blueprint, but wondering what exactly do I mean by “energy body” and “chakra”? Simply put, everything is made of energy but there are just variations of how tightly packed the particles are as they swirl around. Our bodies and things we see and touch are tightly packed. However the energy surrounding our bodies (aura) and flowing through (meridians) is loosely packed and only visible to people who have trained their psychic ability (clairvoyance = clear vision). Jacquelyn has been seeing energy flow for 20 years and like any skill, it needs to be constantly practiced to keep it active – use it or you lose it! A chakra is like a whirling, vortex-like, powerhouse of energy. Within our bodies, there are seven of these major energy centres (see diagram) and many minor ones . They regulate the flow of energy throughout the electrical network (meridians) that runs through the physical body. Chakras become blocked when the energy is not flowing freely and this can happen as a result of stress (emotional and physical), memories (from your life and from your genealogy) and many other factors. Jacquelyn sees the chakras, their colours, and how the energy is flowing. She is able to perceive any blockages and often sees images or intuits words that explain the blockage. Sometimes this makes no sense to her but may do to you! This is why the Energetic Blueprint is a collaborative session rather than you simply receiving “a reading” of your energy body. 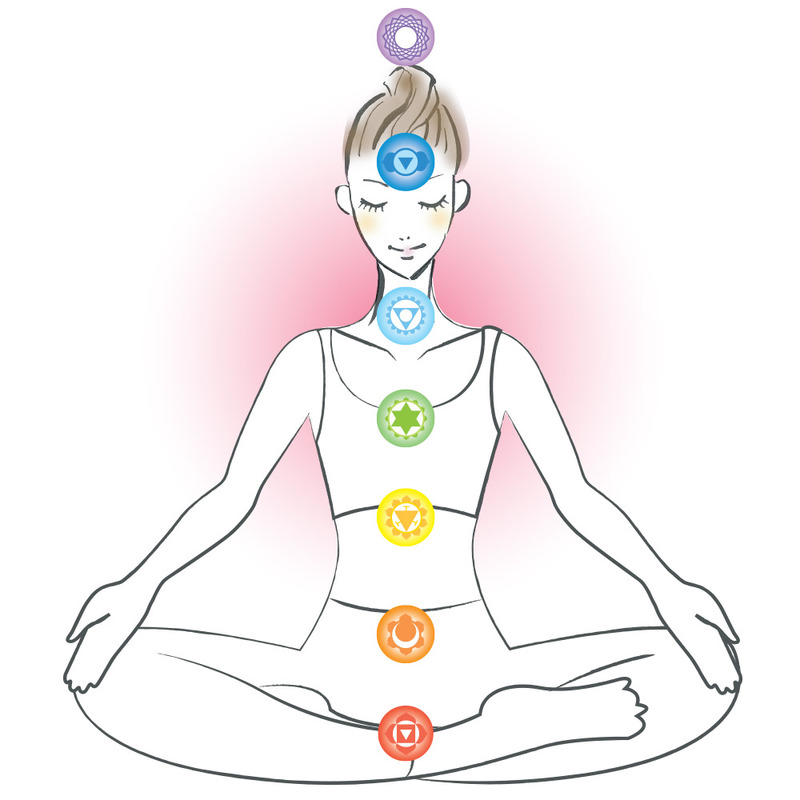 What are the major chakras? Located in the tailbone region, the base represents stability, groundedness, and survival issues such as money, shelter and food. Located in the lower abdomen, the sacral represents creativity, sensuality, desire, procreation and a sense of abundance. Located in the upper abdomen, the solar plexus represents self-love, self-worth, confidence, personal power and ability to achieve. Located in the centre of your chest, the heart represents your ability to love, feel compassion, joy and inner peace. Located in the throat region, it represents communication, self-expression, creativity, truth and judgment. Located in the centre of the forehead, the third eye represents intuition, imagination, perception, wisdom and seeing the bigger picture. Located on the top of the head, the crown represents connection to our own spirituality, acceptance and bliss. Ready to receive your personal Energetic Blueprint?